Hi Everyone! I’m still posting items from the recent parties. 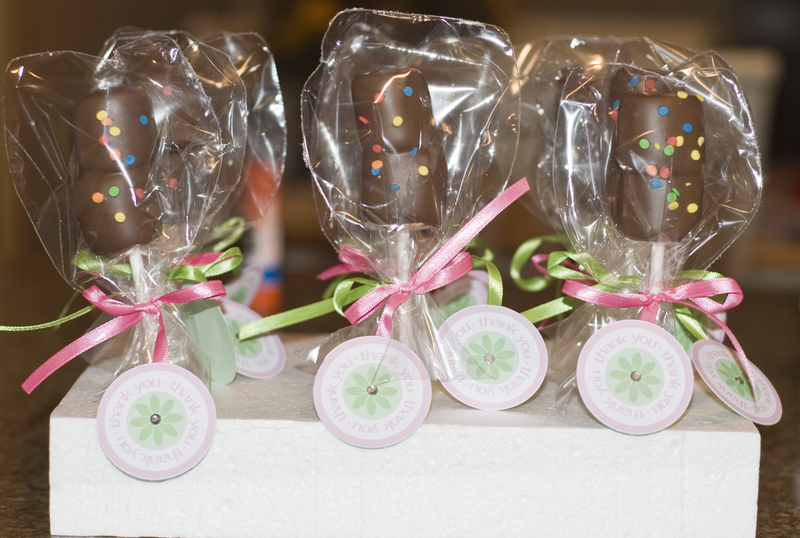 I created Marshmallow Pops as party favors and they were SO cute. The photo does not do it justice. But with everything going on, I just didn’t have time to set up the pops with a really cute backdrop. Please forgive me. 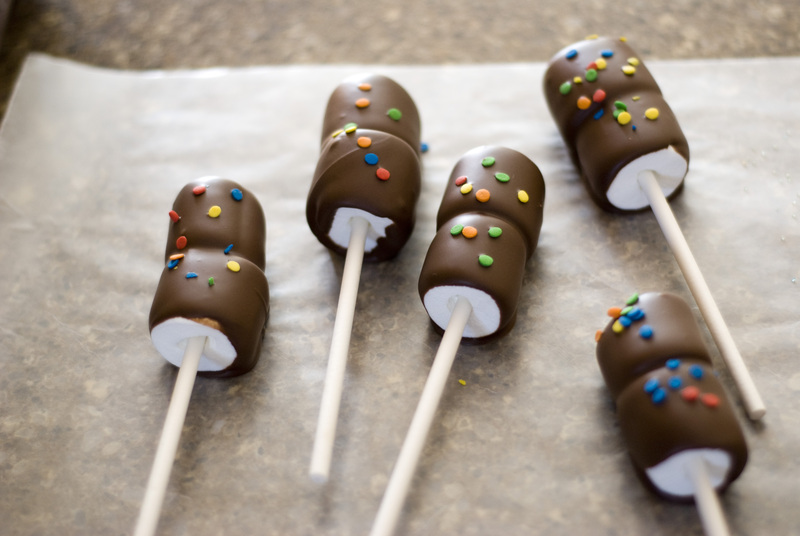 Instead, here is the recipe for the marshmallow pops and a Thank You tag you can use for any party, gift, or whatever. I printed mine on matte photo paper. You could also print them on sticker paper and make stickers! The jewel in the middle is a sticker jewel I purchased at Michael’s. 1. Lay out wax paper. Push 2 marshmallows on to each lollipop stick. Make sure that your lollipop stick does not push through the top marshmallow, but just through it halfway. 2. Melt the chocolate almond bark in a tall, narrow bowl in the microwave on 15 second increments until smooth. Allow to cool for 1-2 minutes as it gets very hot. 3. Dip your marshmallows into the melted almond bark. Rotate to evenly coat. Allow the excess to drip back into the bowl. 4. 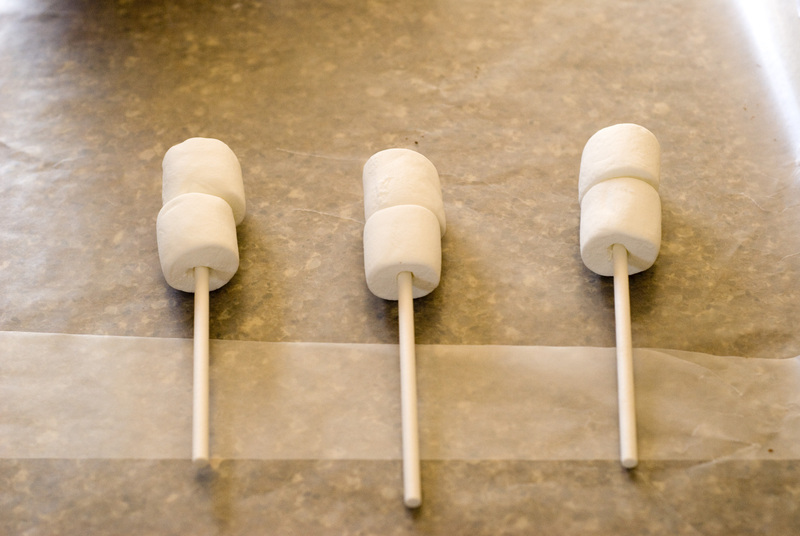 Lay down the marshmallow pop and immediately add decorations. Colored sugar will not work on chocolate almond bark. Use non-pareils or some opaque sprinkle. 5. Repeat and allow to solidify overnight. The next day I used Wilton Clear Treat bags to wrap the pops and added some ribbon. 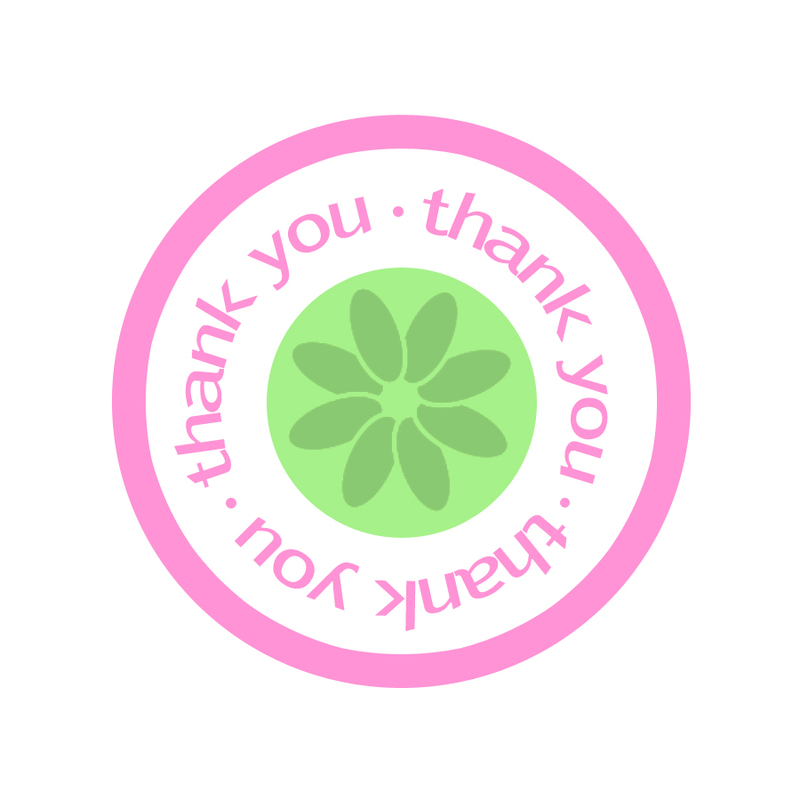 The “Thank you” was cut out with a 2″ circle cutter. I cut out 12 more 2″ circles in green card stock. Then, I used a glue stick to glue the “Thank You” and the Green Card Stock together on the bottom of the bow/ribbon.